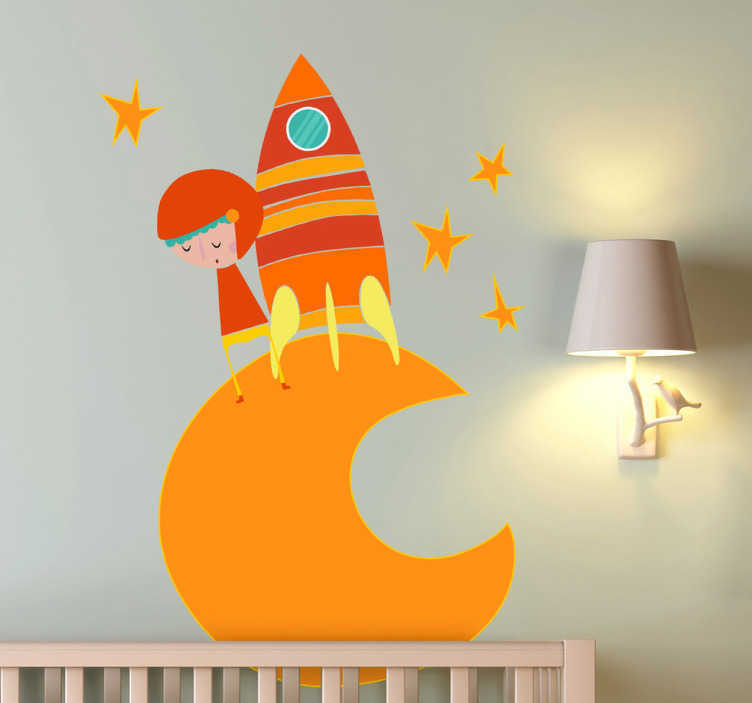 Kids Wall Stickers - Vibrant illustration of a small space explorer on the moon surrounded by stars. Orange colour tones ideal for decorating areas for children. Available in various sizes.